Last night an EFF MP decided to take out his frustration on one of the security officials by physically assaulting him. You can clearly see the EFF was annoyed by not being able to disrupt the State of the Nation Address last night. So instead of having a verbal argument the EFF MP, Marshall Dlamini, decided to turn things physical. 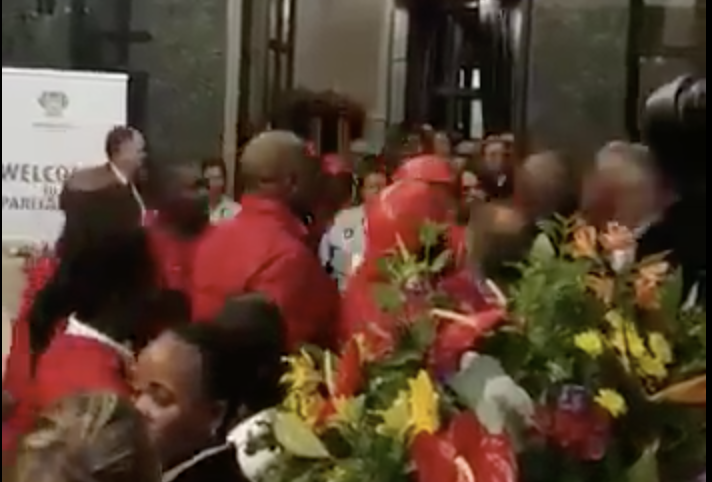 The EFF have eventually come out after countless media enquiries and stated that they were acting in self-defence after they became aware of an "assassination attempt" on their leader, Julius Malema, that was being planned at SONA. My latest video talks on this topic. Please be sure to share it far and wide! If a man provokes you they must get a beating. Its wrong to say Marshall went and assaulted a security guard. There was an argument that lead to the assault.